Print capital and lowercase letter I. 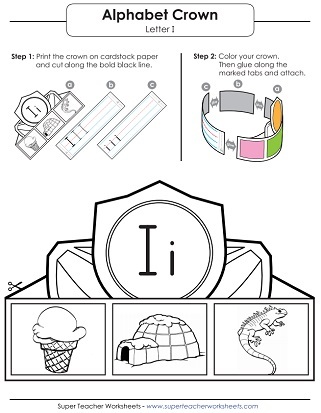 Then color the igloo and iguana. This interesting headband features an iguana, igloo, and an ice cream cone. Color the pictures and write lower-case and capital letter I i on the primary-ruled lines. This instructional worksheet guides students to practice writing lower-case i along the dotted lines. Learn handwriting lower-case i by tracing the gray lines on this worksheet. Trace the dotted lines on this printable to learn writing capital letter I. This practice worksheet guides students to properly write capital letter I. Time to review the letter I i. Draw upper and lower case letter i. 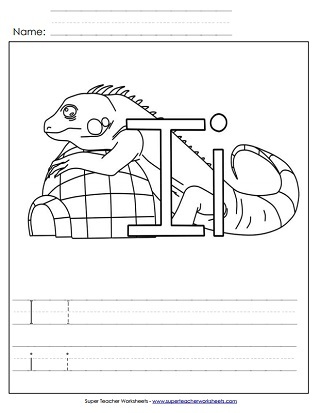 This worksheet helps with letter recognition. Use a bingo dabber to dot the circles in the shape of letter I.